Hey there and welcome! I am a senior programmer specialized on Microsoft technologies, especially web development. Tough nut to crack, but open and sociable, attentive to details, ambitious and authoritative, I am prepared to challenge and be challenged. Love people, love working in a team, love learning from others, but also teaching others. I like constantly expanding my horizons, so I followed the courses of the Faculty of Medicine in Bucharest for 2 years. It was a wonderful experience and it still is now, after 3 years of hiatus. It is a veritable challenge in terms of schedule and information intake, but a great and fulfilling road to go down on. The Faculty of Electronics, Telecommunications and Information Technology within "Politehnica" University provided me with the chance of earning a degree of engineering in electronics, but I've stuck with software development as my career choice afterwards. Highschool was my grand opening towards my experience today, having learned a lot of the fundamentals of programming either by myself or under teacher guidance. As per my country's curriculum, high school studies also encompassed math, physics, chemistry, biology, but also literature and other subjects. I am involved in offering counselling and and performing rapid testing for HIV, HBV, HCV and Syphilis to people in the Romanian LGBT community (particularly MSM and trans women) as part of the CheckPoint Queens project by the Romanian Anti-AIDS Association. My responsibilities include performing tests, counselling clients on the medical and social implications of HIV, viral hepatitis and Syphilis, guidance through the process of test confirmation, getting treatment and living with HIV for positive patients. Following the Ivanti acquisition of RES Software Engineering, I am continuing on my previous engagements and also working on security-related applications within the Ivanti portfolio. I was involved in the development of RES Sofware's new web based console for its Automation application using technologies such as .NET Framework 4.5, ASP.NET MVC, MVC WebAPI, EntityFramework, C#, HTML, CSS, KnockoutJS. Involved in the development of new features and bugfixes for the company's social communications platform. I am currently involved in the development of new features and in offering support for Synevo's in-house medical laboratory suite. I have led a small team and also partook in the development of a test cost calculation module for internal use within the company's clinics and laboratories. During my short stay at Ubisoft I have contributed to the development of the login system for use within Ubisoft's applications and websites such as UPlay. I participated in the development of several of the company's projects, mainly back-office and business applications and even ran my very own project, an integrated deployment solution for internal company use for managing the deployment of our many projects across various servers and build types. Some of the projects I was involved in were mobile applications for Android phones. 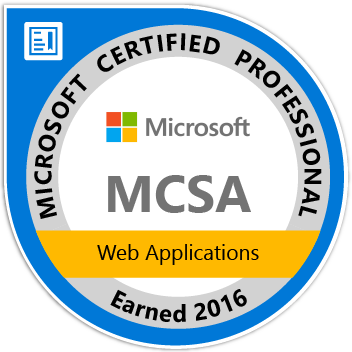 During this time I have acquired knowledge of various technologies, such as .NET Framework 2.0 and 3.5, ASP.NET 2.0, WebServices, SQL Server 2005 and T-SQL, Java for Android. As a former trainee and national champion myself, I have engaged in the teaching of martial arts to kids ages 4-14 in one of my club's dojos. This included training casual participants, as well as aspirants to the title of champion. are the driving force behind human evolution, especially on the social side as of late. It has been an interesting road and it will be one that I will continue to watch going forward. is the art of creating tangible memories since over a century ago. So it's only natural that I partake in this timeless activity and contribute my own memories to the world. is a way of expressing my deepest feelings and innermost thoughts while also challenging my creative side. It is the constructive activity of channeling my energies into creating something that might outlive me. calms the spirit and soothes the soul. I could listen to music all day and, in fact, I do. It helps me work, it helps me relax, it helps me think and sets my feelings in motion. helps us enlighten ourselves about how our body works, about how it succumbs to disease, about how we live and how we die. It's an extensive subject and one I always like to read upon. have long been turned into a sport for the masses, but even though they've lost their aura of ancient mistery and discipline, this is one activity I partook in body and soul and one that defined my character. is the most relaxing activity for me, whether I'm riding the traffic to or from work or just cruising along in a park while listening to music. It helps me disconnect and feel free. It's like a new adventure every day. is part of our everyday lives, but nothing compares to sitting around a couple of cold beers with a friend or even someone you've just met. It helps you grow, gather new ideas and relationships and water the seeds of old ones.